Time Stampers Canada | Time Clocks | Enterprise Time Recording Solutions Inc.
We provide a broad range of time recorders, from side printers to traditional time and date stamping machines. Whether you need a clock for time and date stamping, document stamping, or tracking your employee hours for payroll, we have a solution for you. 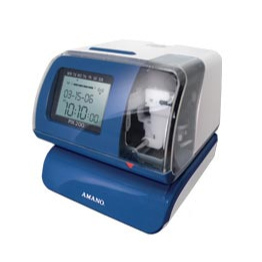 Replace time sheets and clocks with this computerized time calculating terminal from Amano®. Eliminate time theft and costly calculation errors. This system accommodates up to 100 employees.  Learn more about the MJR-7000. 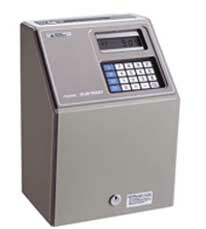 This flexible electronic time recorder will meet the needs of your contemporary business. You will enjoy a variety of standard features and many optional accessories. Choose from 31 selectable preset imprint formats.  Learn more about the PIX-200. 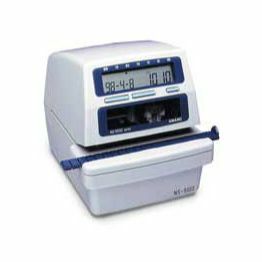 Capable of handling any type of time and date stamping application, this heavy-duty electronic machine features 91 preset imprints and two customizable imprint formats.  Learn more about the NS-5100. 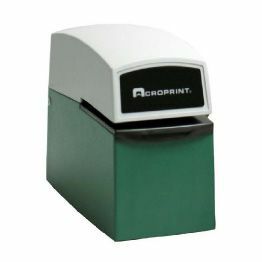 Expect years of accurate and dependable use with the Acroprint ETC time and date stamping machines. Features include an impact-resistant case, long-life print wheels and variable stamping impact.  Learn more about the Acroprint ETC.